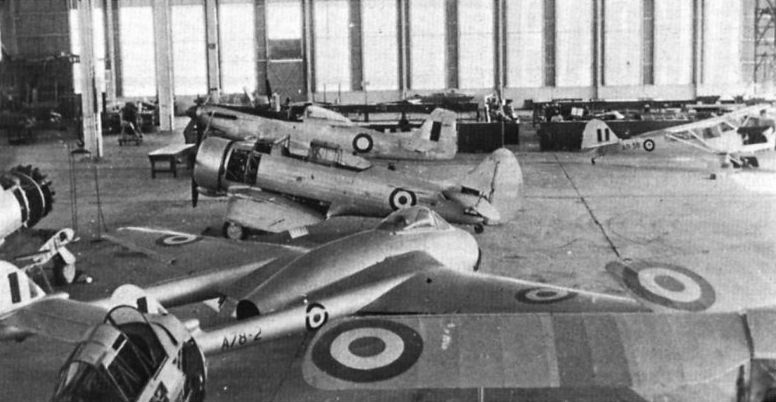 An interesting photograph of the Nene-Vampire A78-2 when in use at the RAAF base at Rathmines as an instructional airframe. Also visible in this photograph are a Wirraway, Mustang, Auster III and Tiger Moth. In 1967, this Spitfire LF Mk XVI (originally RR263) was presented by the RAF to the Armee de l’Air, having first been repainted as TB597 in the markings of No 340 “lie de France" (Free French) Squadron. During 1978, the aircraft was restored to airworthy condition by a hard-working team ted by Colonel Sider at BA 705, Tours, where these photographs were taken last July by G Botquin. A photograph from Thomas M Barette (Tour Director, Pima Air Museum, Tucson, Arizona) showing the present state of North American F-107A c/n 212-1, USAF serial 55-5118.